From Morocco to Indonesia, Muslims are now far more aware of the true nature of the West because of Israel’s assault on a defenceless people, aided and abetted by the US. The response of Muslims to such attacks on Islam and Muslims, however, has been neither consistent nor commensurate with the persistence and viciousness of the attacks. Most often, Muslims have reacted with sporadic anger, held a few demonstrations, shouted slogans and then reverted to passivity. From Bosnia, Chechnya and Kashmir to Iraq, Kosova and Palestine, the story is almost exactly the same. Despite all the crises, there has not been a paradigm shift in the thinking of the ruling elites in the Muslim world. This accusation, however, cannot be levelled against the Muslim masses generally, whose consistent empathy with fellow Muslims everywhere is well known. There is one country – South Africa – where the Muslims have not only understood the problem fully but have also taken steps to address the issue in earnest. This is perhaps because Muslims, and indeed most people in South Africa, have experienced directly, on their own skins, the ravages of apartheid, and that has enabled them to appreciate the suffering of other peoples much better. Whether in Palestine or Afghanistan, Kashmir or Chechnya, the Muslims of South Africa have been foremost in helping their brothers and sisters. In recent weeks the people of South Africa have been in the forefront of rallies in support of the Palestinian people. Pretoria, Johannesburg, Durban, Pietersburg and Cape Town, to name but a few cities, have all been the scene of enormous rallies. Unlike other parts of the world where Muslims live as minorities, in South Africa all segments of society – from the trade union movement, the Congress of South African Trade Unions (COSATU) to the ruling African National Congress (ANC) and the Communist Party of South Africa – have joined Muslims in their condemnation of Israeli crimes against the people of Palestine. In fact it can be stated with certainty that, apart from Iran and perhaps Lebanon, the only country that has officially endorsed protest rallies against the zionist occupiers of Palestine is the ANC-led government of South Africa. True, similar rallies have also been held in other places, including Washington DC (the US capital), but there has not been so broad and varied a participation of people as in South Africa. This is significant: during the apartheid era there was close collaboration between South Africa and Israel, especially in the defence sector. Even today, the two countries are involved in a number of defence deals dating from that time, but government ministers are at pains to point out that they are working to change this relationship. It remains to be seen whether this will come about any time soon, but it has been established that South Africa has signed no new agreements with Israel. Post-apartheid South Africa experienced firsthand the bullying and blackmailing tactics of Israel and the US during the Anti-Racism Conference in Durban (from August 31 to September 7 last year), when representatives of both walked out in protest against criticism of their policies. The walkout was intended to undermine the conference, but other countries stood their ground and condemned Israel and the US roundly for their reprehensible behaviour. It is to the South African Muslim community, however, that we must turn our attention. I am writing this in Pretoria, during a lecture tour of the country (April 13-May 1). Crescent Internationaleditor Iqbal Siddiqui was also here for the first part of the tour. We were also here about six months ago for the International Seerah conference organized by the ICIT and Crescent International (September 21-23). Every time we come, a change in the understanding of Muslims concerning the global situation is noticeable. On this visit I have spoken at public meetings attended by both Muslims and non-Muslims, in mosques and elsewhere, and given a series of radio interviews, both on Muslim Radio and in the mainstream media. The degree of understanding of issues demonstrated by Muslims was quite remarkable. Two recent events have contributed to this heightened awareness: America’s war on Islam and Muslims since September 11, and the vicious response of Israel to the second intifada in Palestine. 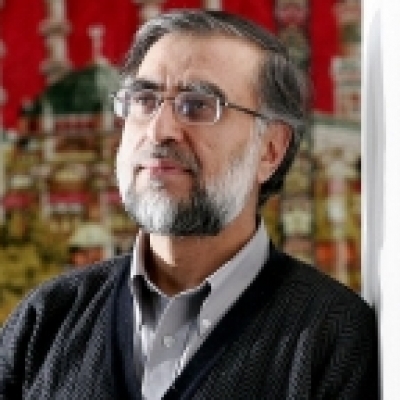 In both instances the intensity of attacks has shaken South African Muslims out of their complacency and made them realize that their greatest enemies are none other than the ruling establishments of these two countries and their global allies: themes highlighted consistently inCrescent International for many years. South African Muslims have had the advantage of being kept abreast of global issues by Crescent International, which has had a significant presence in this part of the world for more than 20 years. 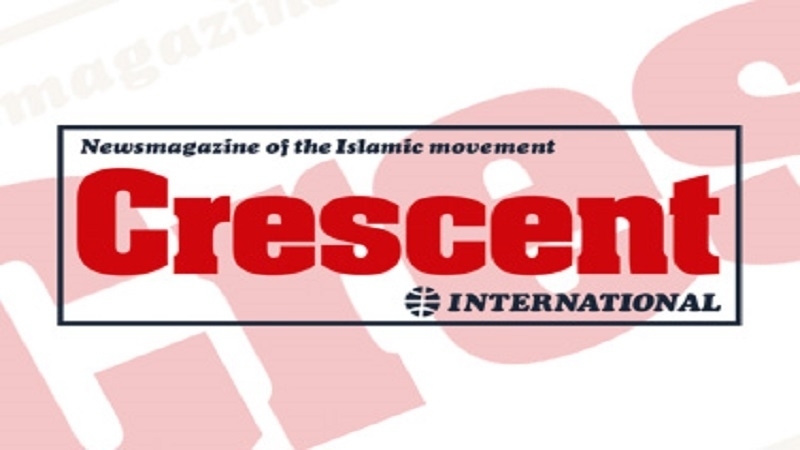 Crescent International’s sharp and focused commentaries and analyses have helped Muslims to understand the true nature of the struggle between Islam and kufr. 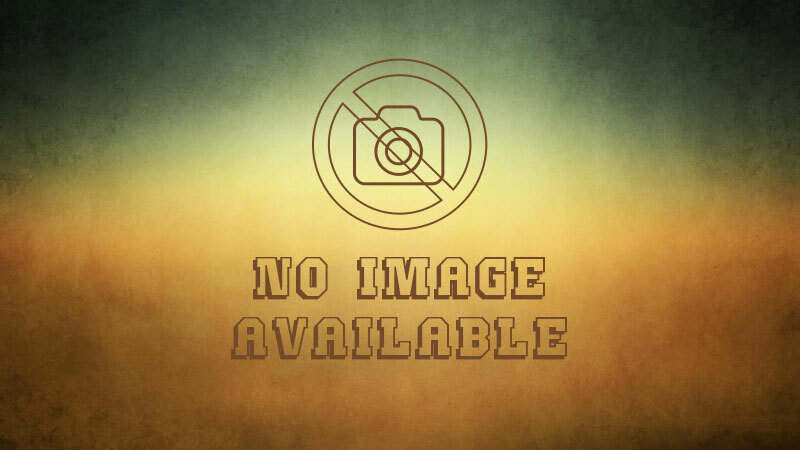 While the dominant western media – television, radio and newspapers – have managed to keep their audiences and readers largely in the dark about the oppressive policies of western governments, Crescent International has cut through the web of lies to get to the underlying truth. In the past few Muslims subscribed to the worldview of Crescent International, but the grim reality of the global situation has gradually changed their perception. Crescent International’s links with South Africa were established by the late Dr Kalim Siddiqui, whose memory is cherished by the Muslim community and whose books adorn the shelves of most Muslims in this part of the world. 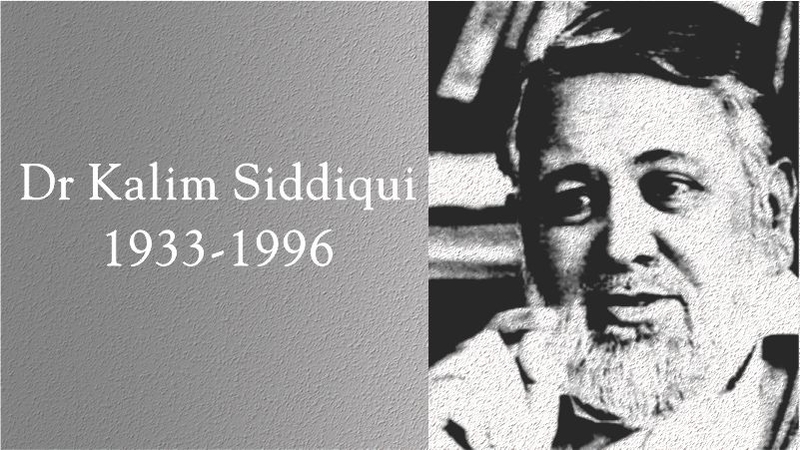 Dr Kalim Siddiqui passed away in Pretoria on April 18, 1996, after attending the highly successful conference "Creating a New Civilization of Islam", organized by Crescent International. There have been numerous conferences organized by Crescent International and the Institute of Contemporary Islamic Thought (ICIT) since then. Each time the level of understanding of Muslims has increased significantly. In addition to the dissemination of ideas, Muslims in South Africa have taken numerous bold initiatives to organise themselves. The country boasts some of the most beautiful mosques in the world, which, unlike mosques in most of the rest of the world, do not remain empty most of the time. The oldest mosque in South Africa is in Cape Town; the largest mosque in the southern hemisphere is the Gray Street Mosque in Durban. Masajid in South Africa are not used merely for Friday salat, as happens elsewhere, especially in North America and Europe; nor are they opened or used only at weekends. There is activity going on almost all the time. Attendance at fajr is impressive. One is reminded of Salahuddin Ayyubi’s dialogue with his generals when they told him that the army was ready to attack the Crusader occupiers of Palestine. "How many people attend salat at fajr?" When told of the low attendance, he is reported to have said: "When attendance at fajr reaches the level for juma salat, then get in touch with me. That will be the time to attack the Crusaders." Most mosques have a school or madrassa attached. They are also collection points for relief work. Islamic schools are also emerging in large numbers; some are impressive, with hundreds or even thousands of students. Again Pretoria (Laudium), Johannesburg, Petersburg, Durban and Cape Town have at least one Islamic school each. There is keen awareness among Muslims that quality education is necessary for their children. Cape Town also has two major Islamic Radio Programmes: Radio 786 and Voice of the Cape, which present news, talkshows and other programmes 24 hours a day. Both have large audiences and have played a major role in raising awareness in the Muslim community. On April 16 both stations applied to the licensing commission for four-year licenses to run their programmes. One can almost divide the country into distinct population types. Cape Town has the largest concentration of Muslims. Cape Muslims are known for their militancy and activism; this explains the massive rallies there in recent weeks in support of Palestine. On April 21, for instance, more than 20,000 people packed the stadium in Athlone, a suburb of Cape Town, to hear a string of speakers denounce the racist ideology of zionism on which Israel is based, and its campaign of terror against the Palestinian people. Present were not only well-known leaders of the Muslim community of Cape Town – leaders of the Muslim Judicial Council (Shaikh Ebrahim Gabriel, Shaikh Ehsan and others), a number of leading imams such as Shaikh Zafir Najjar, leaders of the Islamic Unity Convention (Imam Achmed Cassiem) – but also trade union leaders, representatives of the ANC, and Ronnie Kasrils, Minister of Water Works in the current South African government. Himself of Jewish origin, Ronnie Kasrils has spearheaded the campaign "Not in my Name" to distance Jews of conscience from the unconscionable practices of the zionist regime. 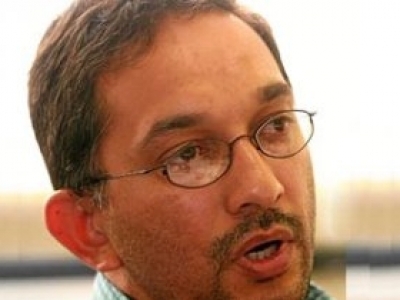 More than 300 prominent South African Jews have added their names to the list so far. Other major Muslim population centres include Durban and the Johannesburg/Pretoria region. Each has a unique flavour of its own. In Durban, for instance, the Sufi tariqah seems to predominate. Many masajid and shrines are dotted all over the city (there are also a large number of shrines and karamats in Cape Town of the early Muslim shaikhs who were brought in chains from the Malay Archipelago by the Dutch colonialists some 300 years ago). Throughout South Africa Muslims have done well as traders: this is a legacy of the apartheid era, when non-whites – Coloureds, Indians and Blacks – were prohibited from acquiring education and training, and thus prevented from entering the major professions. This is now changing, but it will be some time before Muslims are represented properly in most professions. Both Johannesburg and Pretoria in Gauteng province have large and dynamic Muslim communities. Johannesburg is the gateway to South Africa, although it is not the country’s capital; Pretoria is the administrative capital and Cape Town the legislative capital. In Johannesburg most Muslims are traders. They have done well, but many are now also entering the manufacturing sector. Johannesburg also has a number of radio and part-time television programmes. The Voice of Islam has been on air for many years; Channel Islam has also now added its voice to the airwaves. Channel Islam, broadcast through satellite, can be heard in 55 countries if one has the appropriate receiver. Laudium (the "Indian" township near Pretoria) also has a radio programme on 1840 AM dial. Two other institutions have been established in recent years: the Media Review Network (MRN) and Al-Ghazali College. Both serve extremely important functions in addressing issues of major concern to Muslims. MRN has taken on responsibility for monitoring the media, offering the Muslim perspective on news and challenging the stereotypical images of Muslims in the mainstream media. It has made great strides in correcting some of the distortions and the one-sided presentation of news. Articles and letters by MRN staff now appear regularly in major South African newspapers. Al-Ghazali College has emerged as a centre of academic excellence in a short time. Students are not only taught the regular academic subjects; there is also much emphasis on character-building. This is an important factor in developing a well-rounded Muslim personality for the future. In many ways the South African Muslim community can be regarded as pioneers of Islamic work in a minority situation. While preserving their Islamic identity, they have not isolated themselves from the rest of the Ummah; indeed if any part of the Ummah can be said to live up to its obligations, the South African Muslim community is that part. ‘Muslim’ regimes, on the other hand, are vigorously promoting the alien concept of nationalism and imposing the nation-state structure on their jurisdictions. In areas where no nation-state existed – the Arabian Peninsula, Jordan, etc. – nation-states have been imposed and are now peddled as a panacea for all ills. One more point must be mentioned. Unlike most other parts of the world, the Muslim community in South Africa lives in a minority situation, but the majority population is not in control of the country, its resources and institutions, either. Blacks have gained some political rights with the end of apartheid, but their economic situation is far from satisfactory. The ANC government is trying to improve their situation, but it will be decades before the Black majority can be said to enjoy any meaningful equality with their fellow citizens. Under apartheid people were separated according to race; so the Muslims, classified as either Indians or Coloureds, were prevented from interacting with the Blacks, but this situation has changed considerably since the official end of apartheid (1994). Most Muslims are acutely aware of their responsibilities towards the downtrodden majority. It is not uncommon to see mosques and schools springing up in the Black townships. Interaction between Muslims (who are mostly of "Indian" origin) and the Black majority is increasing. There is a need to ensure that Islam is not branded as an "Indian" religion. The Blacks are gradually realizing that the Churches acted as arms of the apartheid system and that Islam alone can act as a force for liberation. The number of Muslims killed or imprisoned during the apartheid era is very large, testifying to their active involvement in the liberation struggle. It is, however, on the community level that their contribution is now becoming more significant. The South African Muslim community is the vanguard of the struggle of Muslims globally. Despite being a minority, they are playing a far larger role than their numbers suggest. This is because their understanding of the issues is impressive. True liberation is not merely physical; its starting point is in human minds. This is where the Muslims in South Africa have taken giant leaps forward. This bodes well for the future of the Ummah of Islam, insha’Allah.